Police in the East Bay on Saturday are investigating what they say is a suspicious death after a man's body was pulled from the San Francisco Bay near Alameda. Thom Jensen reports. 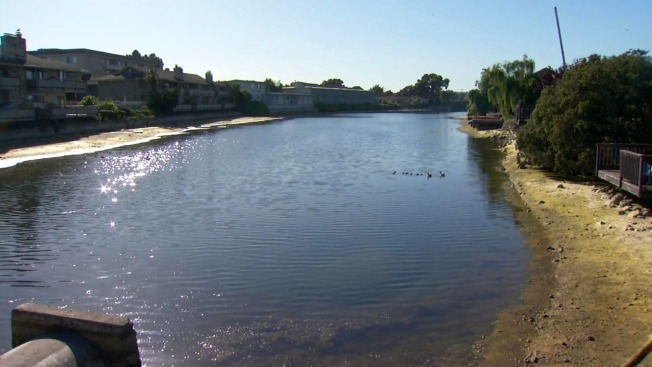 Police in the East Bay on Saturday are investigating what they say is a suspicious death after a man's body was pulled from a lagoon in Alameda. It is unclear how the man died or how he ended up in the water, but an investigation is ongoing, according to police. Resident Marcela Galvez was enjoying her morning coffee on her patio around 8:30 a.m. when she spotted something strange in a nearby lagoon. "I don't see if it's a joke of (if) it's real," she said. "I called my wife and she (told me to) call the police." Roughly one hour later, firefighters from Alameda confirmed that the object was a young man's body before fishing it from the water. Neighbor Katie Winton-Henry recorded the recovery effort. She said she doesn't believe foul play was a factor. "There wasn't any wounds, or blood or anything that I could see," she said. Winton-Henry added that she was still shocked to come across such a horrifying discovery. "It's just really sad," she said. "This stuff doesn't happen here in Alameda." The man's identity has not been confirmed by the coroner's office, according to police. An autopsy has also yet to be completed. Questions regarding the case will likely be answered in the coming days, much to the relief of concerned residents. "It's just really odd to find a dead body and, as a community, I think we just really want to know more," Winton-Henry said.